We undertake house clearance in all areas of Glasgow: East Dunbartonshire West Dunbartonshire Glasgow Scotland North Lanarkshire South Lanarkshire East Renfrewshire Glasgow Scotland Renfrewshire Inverclyde. The Salvation Army started recycling clothes over 130 years ago as part of the organisations philosophy of helping people in a practical way – today that philosophy is embodied in the work of the Salvation Army Trading Co. Ltd. In 1991, the charity established the company as a commercial organisation; partly as a way of raising funds and also as a means of providing employment in a country hard hit by recession. 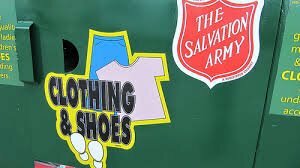 What started out as a small operation in Southampton has rapidly expanded into a nationwide scheme: now over 1,700 Salvation Army Trading Co. clothing banks collect over 12,000 tonnes of clothes every year in the UK. House Clearance Glasgow notes that clothing banks are not the only collection method that the Salvation Trading Co. employs: kerb side schemes are becoming increasingly popular and they are quick to follow the trend. Although the costs are higher than bank collections, the are often successful at increasing the amount of textiles collected. They will also arrange for clothes to be collected from charity shops, jumble sales and cooperate with other charities. The recent introduction of a help-line system for the public has also proved popular and useful. Garth Ward puts his organisation’s success down to communication: with the public, with local authorities and with Kettering Textiles. Good marketing has more than paid for itself.